Jaded Blossom: Calling all BBQ Kings! Hello! Mel here with a fun gift card box idea for you. I just added the "King of the BBQ" stamp set to my collection. This stamp set is on sale for the month of April. Today is the last day for the sale! Inspired by my new stamps, I made a BBQ gift card holder. The base of the BBQ could be filled with candy or a small gift too. The spatula and oven mitt are Jaded Blossom Dies, Baking Dies. I stamped "Kiss the Cook" on the oven mitt. The gift card was adhered with double sided tape inside the lid. Great project!Love the mitt and spatula. 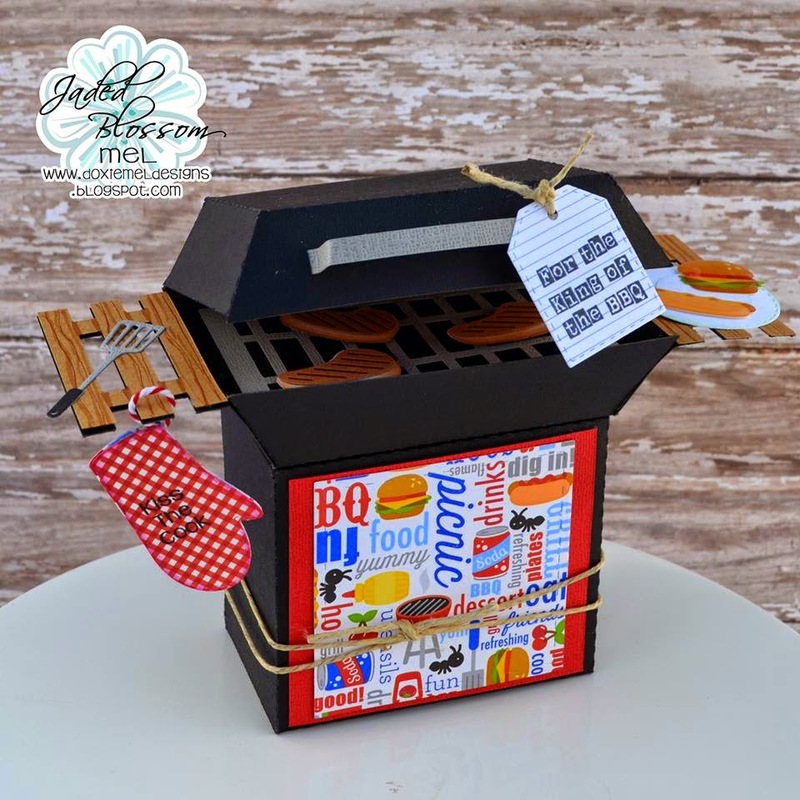 Love your BBQ with all the extra detail.. great work! I have a whole drawer of "it's so cute" waiting to be used...lol.